Brandon Jones was charged with assault on Thursday (April 14) after allegedly pointing a gun at his neighbor last year. According to Los Angeles County District Attorney’s Office, the 27-year-old actor “exhibited a hidden handgun” during an argument in October of 2015 in his neighborhood of North Hills, Calif. 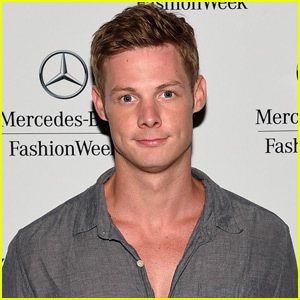 The Pretty Little Liars actor also allegedly waved a knife and pointed a handgun at someone during a separate incident on March 24 of this year. “It is our understanding that the gun in Mr. Jones‘ possession was fully legal and registered, that he was on his girlfriend’s private property, and that he and his girlfriend felt that they were under threat in a dispute with neighbors,” his rep told TMZ. Brandon now faces one felony count of assault and two misdemeanor counts for “exhibiting a deadly weapon and exhibiting a concealable firearm in public,” which could lead to him serving more than five years in state prison. The case is still under investigation. Fifth Harmony Perform A Stripped-Down Version Of Elle King's Ex's And Oh's! WATCH HERE! Shannon Sharpe All In on 'Milds & Yak': Lemme Get My Own Flavor! Kanye West's 'Ultralight Prayer' – Full Song & Lyrics! Anna Duggar Says Josh Betrayed Not Only Her, But ALL Christians When He Cheated! See The Angry Interview Clip!